Hello and welcome to my Kumho Ecsta PA31 review. When choosing the next set of tires for your car, cutting on price can be a dangerous prospect – some cheap tires are simply not worth it and can seriously damage safety. Luckily, there are some reputable manufacturers that produce tires that are lower in price, but ones that can still offer very good performance for the casual driver. One such company is Kumho, which is known for its high-quality all-season and touring tires. However, they are not known for high-performance tires, and that’s why I am approaching the Ecsta PA31 with a grain of salt. To add insult to injury, Kumho promises that this tire is excellent in dry and wet scenarios, as well as in snow. Let me remind you, high-performance tires are specifically made to tackle the road in warmer climates, and that stands true even for premium tires. When a budget-oriented manufacturer says things that even premium manufacturers don’t be cautious. 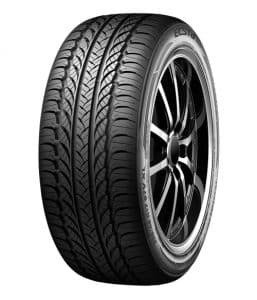 The Kumho Ecsta PA31 is designed for mid-level sports coupes and sedans, and is available in sizes ranging from 15”-18” in diameter and 175-245 in width. If you own a vehicle in the subcompact, compact and midsize category, chances are you will find a size that fits your vehicle. Kumho is very self-confident in the marketing materials about this tire. They say that this is a high-performance, all-season tire that offers unparalleled everyday street performance, long-lasting tread life, ride comfort, low noise and all-season traction, including light snow here. Wait, is this a dream? It certainly feels like it – not even Michelin and Bridgestone are so confident in their products. The only thing Kumho won’t say this tire can do is off-road driving, but if they read this, expect the description for the successor to include that. Pun intended of course. 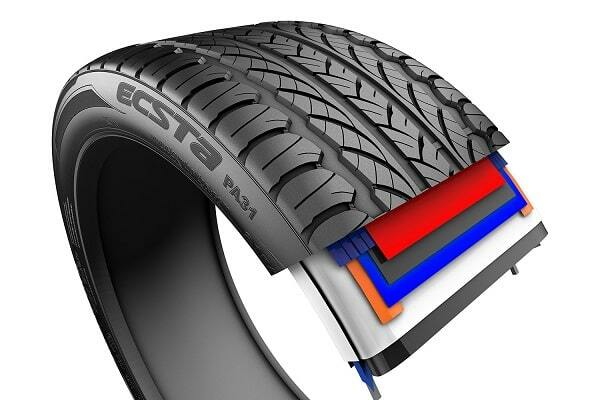 To be a tire that can do absolutely everything, the Ecsta PA31 is equipped with several high-end technologies. I will admit that I like the directional tread design – it will surely look fine on the Lexus IS350 I drove yesterday, but there are other reasons for that type of design. The heavy sipe density and large cross grooves help for faster and more reliable water evacuation, or in our words, less hydroplaning. They help with better snow traction and wet weather handling as well. 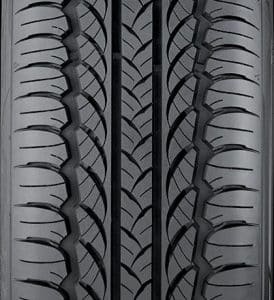 The directional tread pattern is shaped in a way so it will avoid excessive and uneven wear, but it helps with better handling, steering feel, and braking as well. This is a high-performance tire after all. The variable pitch shoulder blocks, on the other hand, reduce noise, something that you don’t often see in high-performance all-season tires. Kumho even makes this tire of advanced tread compound for “ideal blend of all-season traction and high-mileage performance”. Put the asterisk on ideal here. In the end, the ESCOT technology is here for the aggressive types of drivers (such as me) improving steering response. This technology also helps for increased tread life by optimizing cord tension distribution. If it wasn’t for this review, you would certainly think that this is the ideal tire for any vehicle, but wait until you read my impressions down below. Kumho may promise long tread life with the Ecsta PA31, but in real-world scenarios, it’s far from the best high-performance tires out there. It doesn’t degrade as fast as some really cheap tires, but it’s not extremely durable either. The 50,000-mile tread warranty tells the whole story here – if you want a durable, budget-oriented tire, you should buy one of Kumho’s touring offerings. You’ll lose some stability in the corners, but it’s not like this is the best driving tires out there. Which brings me to the handling side of things. Compared to premium touring tires, which are more expensive, the Kumho Ecsta PA31 offers some advantage in the corners. There is a bit more grip in the corners and responsiveness is better, but that’s only when you compare it to touring tires from the likes of Michelin, Bridgestone, and Pirelli. If you match it to their high-performance offerings, there is really no comparison – they offer much better handling, especially for drivers who can exploit everything they can offer. With all that said, if you want a cheap offering that will improve the handling of your touring tires, this one should be good. However, you must satisfy with the subpar durability when compared to the same tires as well. Interestingly, the Kumho PA31 holds itself pretty good in wet weather. Again, it’s not the best tire in those conditions, but it is safe and provides the driver with good control in light and heavy rain. It also resists hydroplaning very well and has short stopping distances. The directional tread design certainly helps here. So far I think you know what to expect from the Ecsta PA31 when it comes to winter driving. Kumho may say that it’s “unparalleled”, but in my testing, it was only adequate, if not behind what other competitors offer. If you drive slowly and carefully there is a reasonable amount of traction in light snow, but braking distances will be longer. It’s simple – winter tires will offer snow and winter performance that are worlds apart when compared to the Ecsta PA31. High levels of comfort are another area where Kumho is certain their tire will deliver. Well, up to a point in my opinion. 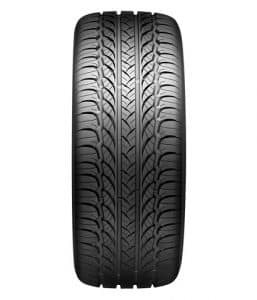 It is comfortable enough in most driving scenarios and it’s certainly not loud, but you will have a much better experience if you install tires from Michelin and Bridgestone, or any other premium manufacturer. The thing with cheaper tires is that they often have compromises and buyers should be aware of them. The Kumho PA31 is a good tire, especially for the price, don’t get me wrong about that. But if you think that it will deliver performance comparable to a Bridgestone Potenza or Michelin Pilot, it won’t. What it will offer are a better handling response than a touring all-season tire and perhaps better wet performance. Other than that, it’s not a game changer by any means. Thanks for reading and I hope you found this Kumho Ecsta PA31 review helpful. If you have any questions or comments please feel free to leave them in the comments section below.